This Collaboration was so much fun! 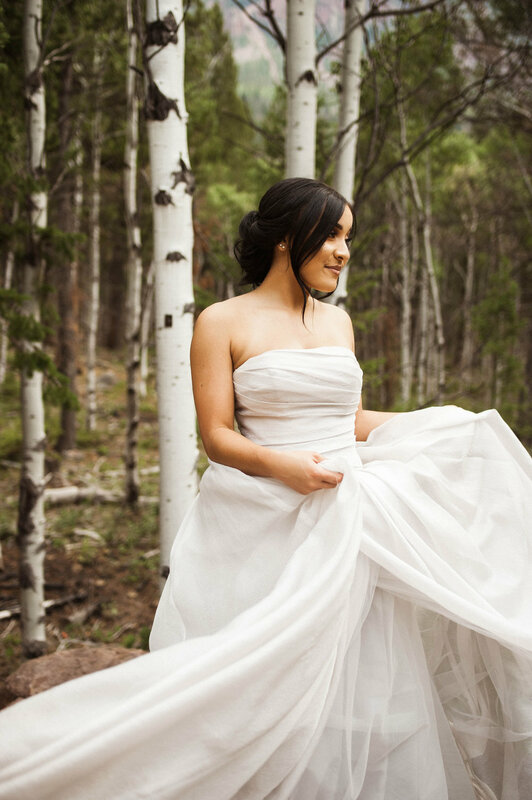 We wanted to do a fun/casual bridal shoot in the Utah Mountains. We thought it would be so fun to add a denim jacket to the mix, because denim goes with everything, including a wedding dress! We put on some music and just had so much fun exploring and looking for fun spots to take photos. Lauren Jenkins did our model Kym Yack's hair and make-up. She is so amazing at what she does! She will make you look and feel so beautiful on your special day or for your engagement/bridal photos.